Imagine seeing all your hard work, dedication and endless hours at the office come to life at Super Bowl LIII. Being able to watch it all pay off on the field is an incredible feeling that never goes away. 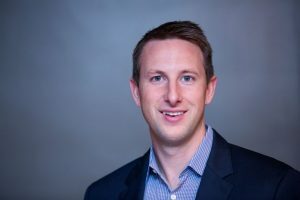 That is exactly how third-generation Spartan and Eli Broad College of Business alum Ryan Sullivan (BA Finance ’06) — the current CEO of Xenith, the industry leader in football helmet technology — felt watching several NFL players wear his Xenith football helmets. The path to where he is today was not an easy one. It was not until his path crossed with another MSU alum, Dan Gilbert (founder of Quicken Loans and Rock Ventures; owner of the NBA’s Cleveland Cavaliers basketball team; and a major driver of downtown Detroit’s revitalization), that he would be given the chance to return to his home state and live out his dreams. Sullivan’s work with Xenith has continued to make new strides in the world of football. He, along with his company have launched a new product, the Xenith Shadow helmet. This new product is considered the most advanced helmet in the game as it includes enhanced shock arrangements to take a range of hits on the field. “The Xenith Shadow helmet is an evolution of the technology that we’ve been known for throughout our lineage. Our philosophy is to design for the athlete and their needs. What that starts with is spending time with the athletes, listening to them, observing them, seeing what happens on and off the field,” Sullivan said. The work that is done at Xenith goes beyond pleasing athletes. There is an internal pride that Sullivan feels on a day-to-day basis as he interacts with his employees and his company. “At Xenith we talk a lot about our values as an organization and the first ones on the list is passion, purpose, and pride. Every single person at Xenith shares that value and really lives those three things so it’s tremendously rewarding to work in a business and with people who are seeking to make a difference and knowing that work that we do adds value in the world and has a strong purpose as well as contributing to good, positive things,” Sullivan said. Sullivan credits much to where is he to the experiences he had while attending the Broad College. With the in and out of class experiences, along with the relationships he made during his four years, Sullivan was able to find his path at an early stage. He says that his single, best piece of advice for current students is to put yourself out there and in front of the right people. Find those opportunities, just as he did, and take advantage of them. 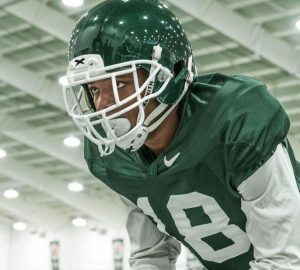 “I would say, really push yourself to get as much experience as you can at Michigan State. It will set you up, not only for that first job, but for life. Some people don’t get how much of a gift it is to be a student. If there is something of interest to you, reach out to someone,” Sullivan said.